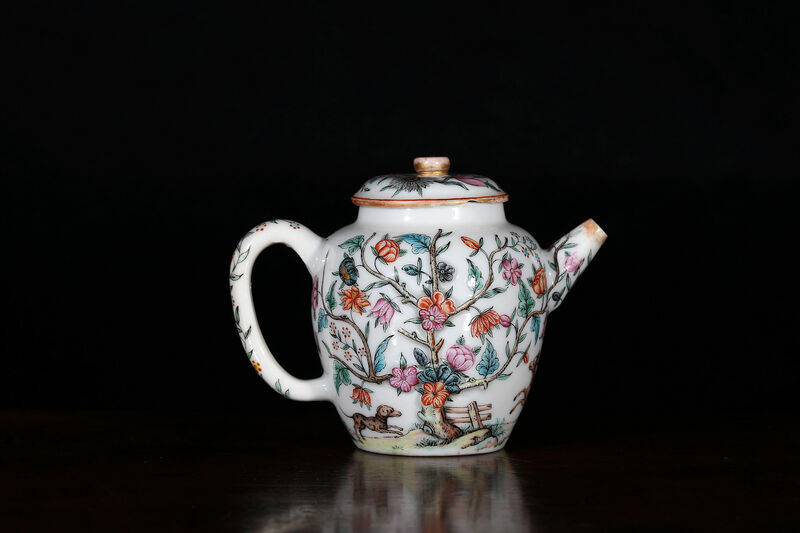 The small oviform teapot with raised prunus moulding enhanced with richly enamelled and gilded flowers and foliage. 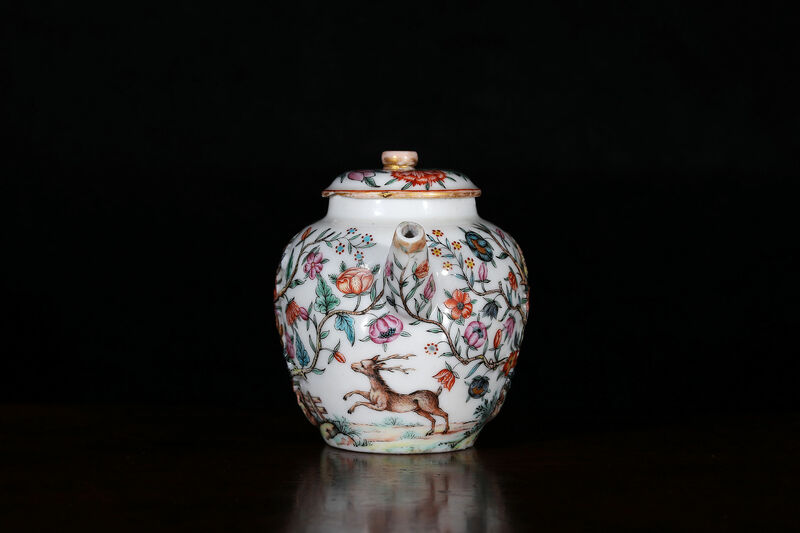 Underneath are two dogs in pursuit of a stag. 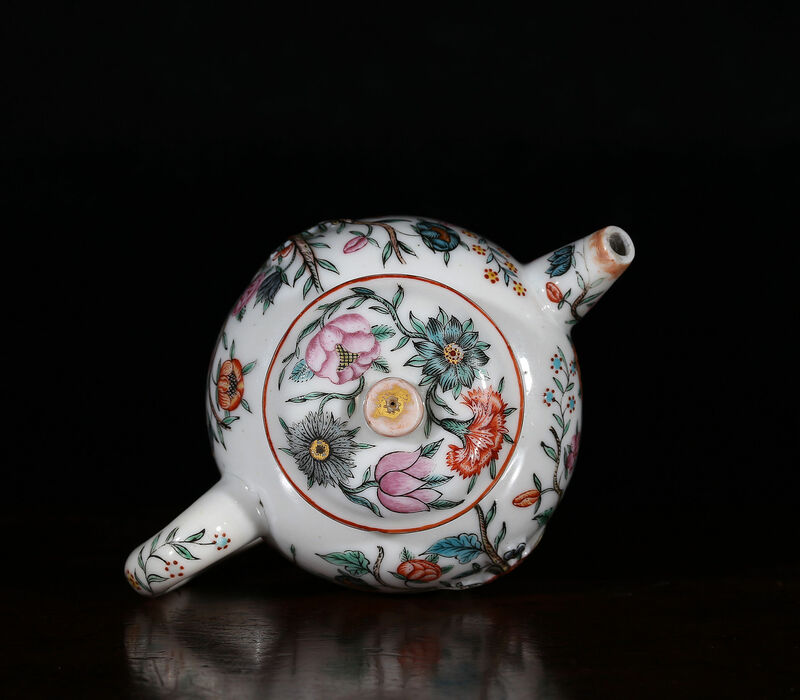 This exceptional and very distinctive enameller was for many years not accepted as Dutch, his work being of a unique and remarkable quality. 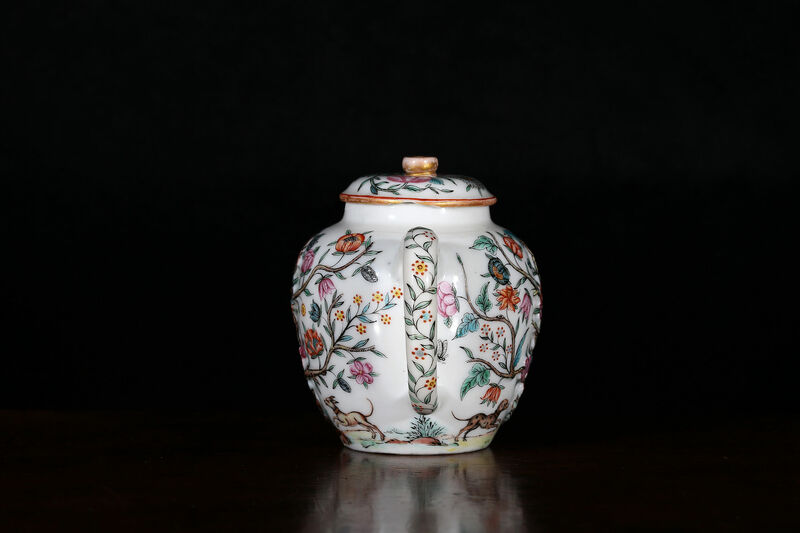 Although rare, a number of examples are found in old Dutch collections and also among the large holding of Dutch decorated oriental porcelain in Dresden from the royal collection of Augustus the Strong of Saxony. 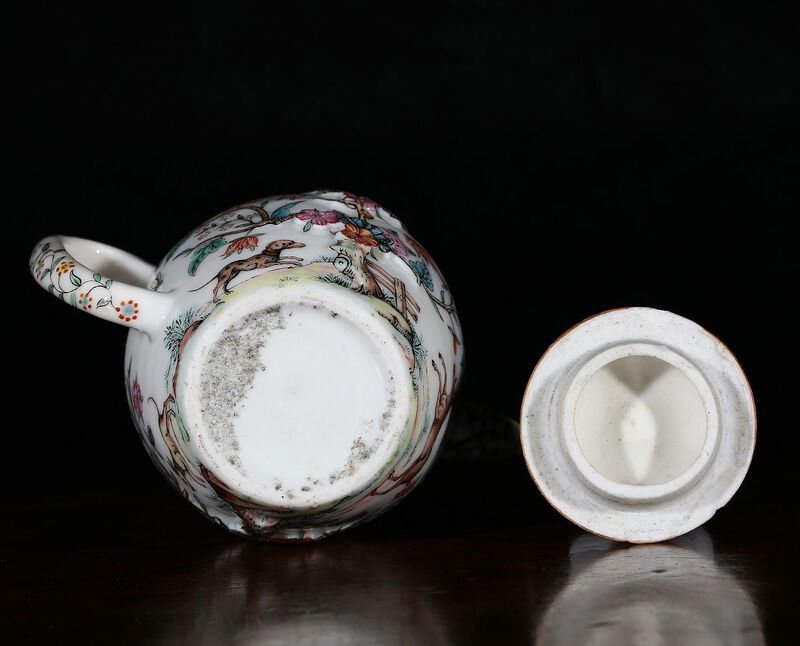 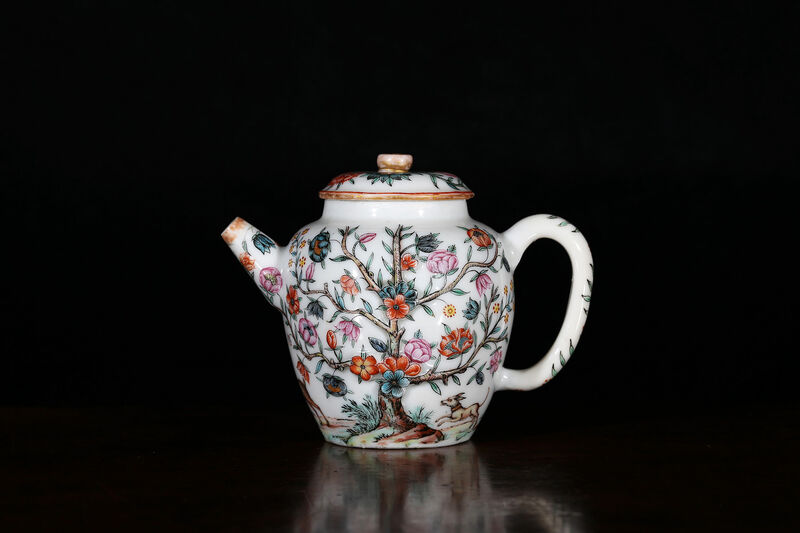 This teapot has the identical flowers to the blank de chine ewer once in the Watney collection enamelled with the arms of William Butler and Maria Leeser which celebrated their marriage in Amsterdam in 1724.